The metal case is made to handle a majority of environments. Outputs are color-coded for convenience and clarity. Clear viewing panel locks in place for security. 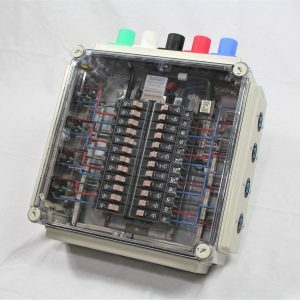 Looking for a mid-sized 60 amp distribution panel to take with you on the road? The Molex gives you everything you need in a neat, tough metal case that was custom-designed for durability and performance. 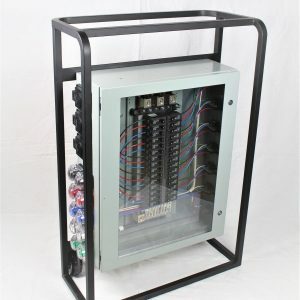 It features 11 CH120 circuit breakers and a clear-view panel that lets you see if a breaker switch needs to be reset. Don’t settle for wondering what is going wrong; invest in a distribution panel that makes it obvious in one glance. Check out the specs below and contact us for a free consultation. 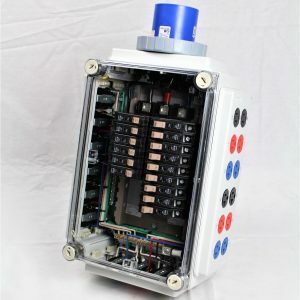 CUSTOM 60AMP 4P/5W, 120/208V 3PHASE CLEARVIEW PANEL. 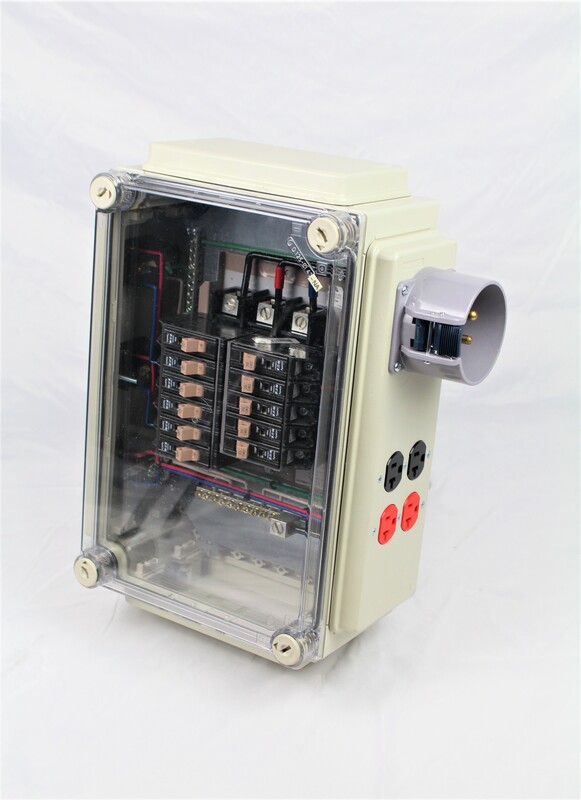 OUTPUTS: 3 EACH 20AMP 120/208V (NEMA L21-20R) RECEPTACLES. 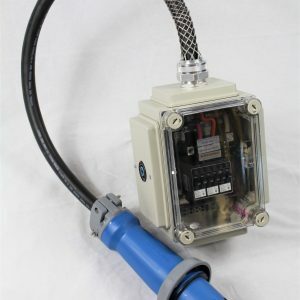 2 EACH 20AMP 125V (NEMA 5-20R) DUPLEX RECEPTACLES. BREAKERS: 11 EACH CH120 CIRCUIT BREAKERS.